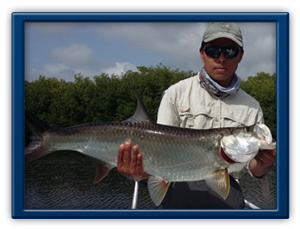 Cancun Flats Fishing - Fly fishing and light tackle charters in Cancun and Isla Blanca. 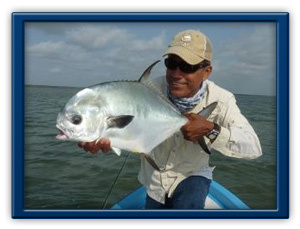 Enrique Trinidad has been guiding in the Isla Blanca and Cancun area for over 15 years. Many people have come back year after year to fish with him. He is one of the longest full time guides in the area and has been fishing these waters since he was a little kid. Known for his patience, passion for the sport, and never ending effort to find people fish, you will be in good hands with him. After guiding for different companies for many years, Enrique decided to start his own fly fishing operation so please contact us for information. Guiding our second boat, is Bernardo who is Enrique's son. Trained by the best, Bernardo is a fantastic guide and has four years experience guiding full time. In this time he has a great following with many people wanting to only fish with him.